Posted on June 11, 2013 | Comments Off on Pizza Margherita Day! Scott Wiener at Scott’s Pizza Tours reminded me that today is Pizza Margherita Day. For those who don’t know, the basil, tomato and mozzarella pizza was created for Italian Queen Margherita 124 years ago and replicates the colours of the Italian flag. 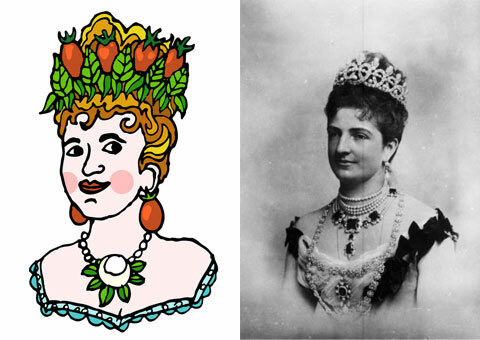 Here’s a drawing of Queen Margherita (bedecked in ingredients) I did for Pizza A Casa’s DIY Pizza Pie app. Comments Off on Pizza Margherita Day! Volume, a great old-school record shop in Toronto’s Mirvish Village, is currently exhibiting one of my largest paintings, Entertainment. 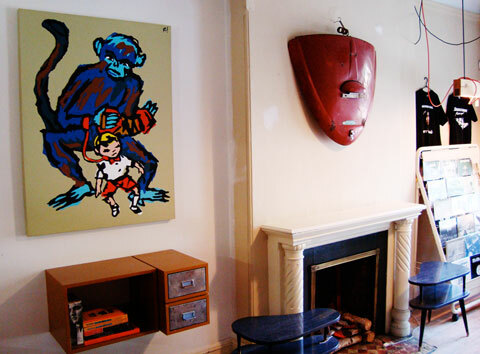 Part of my 2004 Veal series, Entertainment features a young boy dancing to the music of an accordion-playing monkey. Entertainment hanging in Volume record store. Pizza A Casa‘s Mark Bello and I met Volume owner Rob Sikora last spring, while doing research for the DIY Pizza Pie app. Mark was looking for a copy of ZZ Top’s Tres Hombres so he could show his design team what sort of colour palette he was looking for. Rob brought in his own copy to the store the next day so Mark could photograph it. The glorious gatefold sleeve of ZZ Top’s Tres Hombres. While Mark and I were showing Rob a beta version of the app, we started talking about my own art background and the old Swizzle Gallery. Rob suggested I show something in the store, which also exhibits vintage posters and some contemporary art pieces. It was great to unwrap the painting again and get it up on a wall. 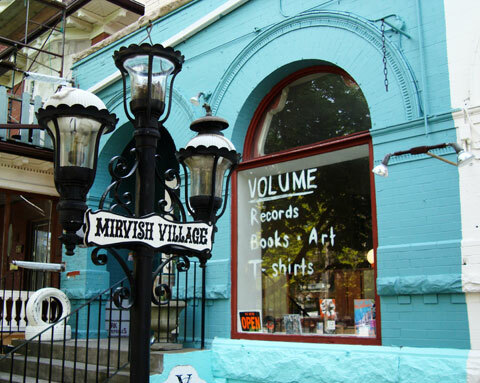 Drop by Volume (588 Markham Street) during regular store hours (Thursday through Saturday) to have a look, and maybe pick up some good vinyl as well. 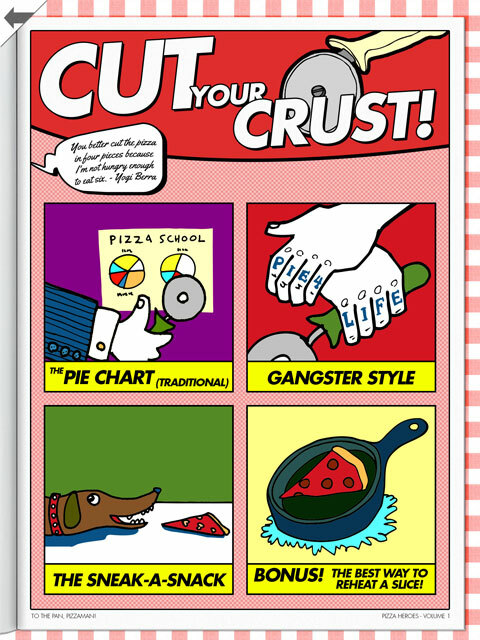 New York City cooking school Pizza A Casa launched an iPad app this week. 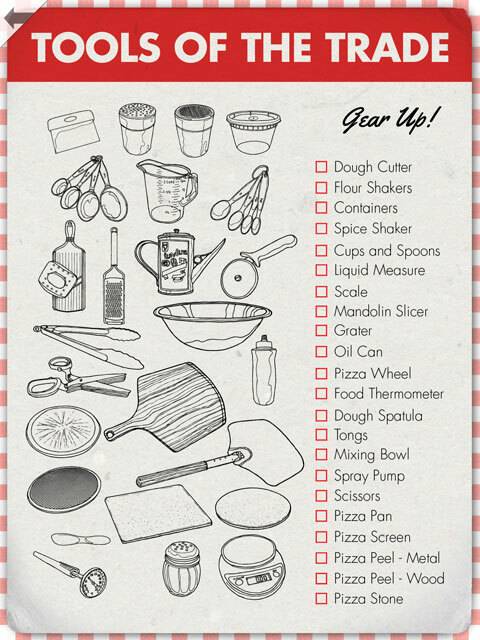 DIY Pizza Pie is loaded with instructional videos, tips, and recipes for making pizza at home. The colourful app is heartily embellished with dozens of my illustrations. Pizza A Casa owner Mark Bello and I have worked together on creative projects before, but the app has been particularly complex and exciting. I’ve included a couple of sample screens below.